Here’s a detailed overview of Day 1 Education Sessions on the trade show floor. Day 2 sessions will be announced soon. 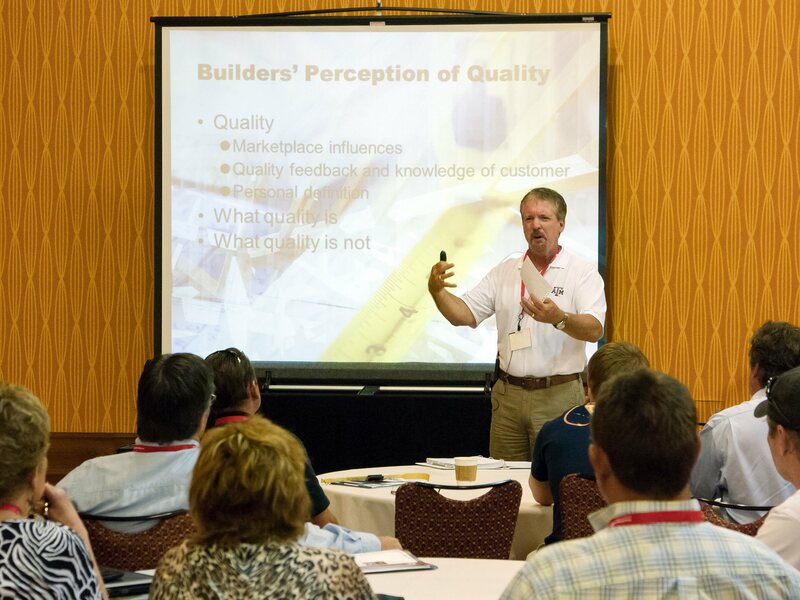 All trade show floor education sessions are included in your Sunbelt Builders Show™ registration. During this session we will cover the five things that every builder must know about creating a digital marketing plan. From displaying your portfolio of work using the latest technology to understanding marketing basics, you'll leave this session better informed and ready to create a custom marketing plan for your business. The green building movement has devolved into a checklist approach to incorporating ‘green’ building products into our homes and buildings. What’s better is a sensible and integrated approach to building design and construction – otherwise our buildings may simply become a collection of poorly coordinated ‘green’ features whose sum do not equal the investment in the parts. Peter will discuss the significant values of ‘green building’ beyond the current popular rhetoric. “TAB’s 2015 – 2017 Texas Residential Construction Contracts Package Preview” by James Rudnicki and Don Shelton, Bush Rudnicki Shelton P.C. With the 2015 Regular Session of the Texas Legislature under our belts, TAB will release its contracts package for the 2015-2017 cycle on September 1, 2015. This is your opportunity to learn about revisions to the contracts package and to talk with two of the attorneys who have been instrumental in the writing and updating of TAB’s form contracts. Thank you to StrucSure Home Warranty for sponsoring this seminar.